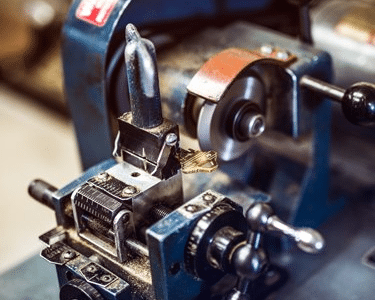 Our large, capable team of locksmiths can help you with a wide range of locksmithing services. From rekeying your locks to deadbolt installation, our company provides quality services that will makes sure your home and its inhabitants are as secure as possible. Remember that we don’t just offer our services to the immediate Syracuse, NY area. We can also assist you if you live anywhere within 70 miles of Syracuse, enabling us to serve the entire Central New York region. Fradon Lock Company is NYS Licensed, which means that we adhere to all the state’s laws and regulations. We will give you reliable and lasting services. To schedule locksmith services, call (315) 472-6988 or toll free at (800) 447-0591. Perhaps you just moved into a new home in Syracuse, NY, and you want to ensure you’ve made it as safe as possible for you and your family. Or perhaps you have lived in the same home for decades, and you simply want to update its locks and other security hardware. You need to work with a company you can trust so you feel protected and comfortable when you lock your doors at night. Fradon Lock Company, Inc. has served the area with dependable deadbolt installation and other locksmith services for more than 50 years. No matter what kind of locks and other hardware your home needs, we can supply you with lasting, high-quality products, as well as professional installations. Are you certain you know everyone who has a key to your home? Has a key gone missing? Were there previous owners, contractors, or realtors who had copies? Whether a necessity or a safeguard, we can rekey your present locks so that anyone who has an old key won’t be able to enter your home. 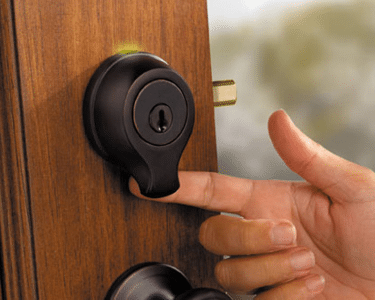 The process of rekeying a lock is essentially readjusting a lock so that the lock is still able to function and protect your home, but makes the device work with a new key. This is a very cost effective method that many homeowners do not even know to take advantage of. Unlike a complete lock replacement, rekeying the lock allows you to keep the same basic components of the lock you had before, but lets you operate this with a completely new key. If you’re a homeowner, it’s critical that you contact us when any part of your door lock isn’t functioning the way it should. Otherwise, the risk is there for your lock and security to be compromised . Whether you purchased a new door lock from Fradon Lock or another retailer, our professional locksmiths can handle the installation to make sure your new lock functions perfectly. Alignment is assured and you’ll have the peace of mind knowing that installation was done properly. We may even be able to make your existing key work in your new lock. 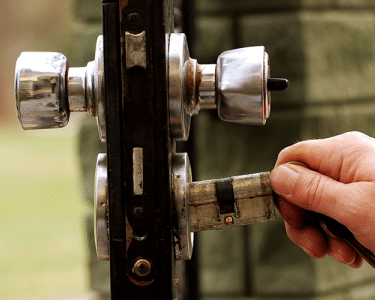 Each of our locksmith technicians has been trained extensively and is more than qualified to provide lockout services so you can get back into your home. Best of all, they are able to do this without causing any damage to your lock, door, or house in the process. The only time a lock will be damaged is if the type of lockout requires it to be drilled. Sometimes, especially if you have high security locks, we may need to drill the lock and then either install a new lock cylinder or install a new lock for you. Do you have several locks on your home that require different keys to open? Ask us about keying all of your locks alike so they can be opened with the same key. Fradon Lock carries the largest inventory of replacement keys in all of Central New York. Whether you want additional copies of your existing keys or you lost your keys and need replacements created, our experienced team can help. 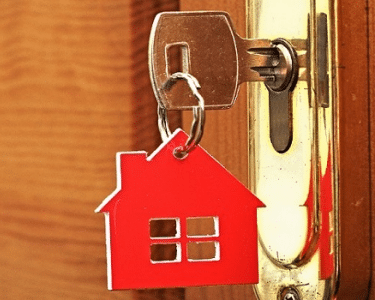 If you decide you want to rekey your locks, we can also provide you with the exact number of keys that you request for family members, emergency contacts, or just to have as backups in the event of a lockout. 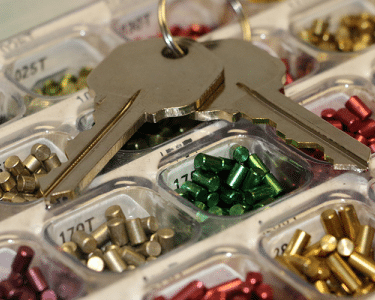 We can quickly handle your key replacements and key cutting while you wait in our store so feel free to stop by. Have an old hard-to-find key? Odds are we have it! Questions? Need locksmith services not listed here? We can help! Call now to schedule a time for a visit from one of our technicians or to discuss your needs in more detail. To schedule or inquire about our residential locksmith services, simply call (315) 472-6988 or toll free at (800) 447-0591.